Reported specifications for the rumored Sony Xperia XZ4 have been leaked on a Chinese blogging site. Prolific leaker Ice universe has posted details about the possible flagship device that include mention of a Snapdragon 855 processor, a 6.55-inch FHD+ screen, 3,900 mAh battery, 6 GB RAM and up to 256 GB storage. However, the Japanese company has only just released its XZ3 smartphone. 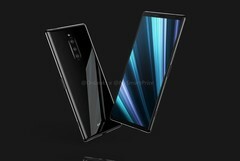 Some reported specifications for a Sony Xperia XZ4 device have been posted on Weibo.com by Ice universe. But as Sony recently launched the Xperia XZ3 flagship, this leak has to be taken with a healthy dose of skepticism. According to the data published, the XZ4 could feature a brand-new Qualcomm Snapdragon 855 SoC and offer 6 GB of LPDDR4X RAM and up to 256 GB storage space. The 6.55-inch handset will reportedly come with an FHD+ screen provided by LG that has a display aspect ratio of 21:9. Further down the list, which was posted in Chinese, is the mention of a side-mounted fingerprint recognition sensor. Apparently, the 3.5-mm headphone port won’t be abandoned and the battery will offer 3,900 mAh of electric charge. Lastly, the leaked details also suggest a thickness of 8.9 mm (the XZ3 has a measurement of 9.9 mm). In terms of camera setup, an alleged rear-facing triple-sensor system could be included, with a super wide-angle lens found on the front. Unsurprisingly, some doubt has already been cast on this purported leak; the recently released CAD-based renders of what could end up being the Sony Xperia XZ4 don’t show any space for a 3.5-mm headphone jack. Regardless of the veracity of the leak, it still makes for interesting speculation as to what Sony could bring to the table with its next flagship release.